Every few weeks the kids and I go for a drive across the province to see my parents, and along the way we pass several cute little wood-sided community halls. Some are decrepit and for sale, others are still in use, their signs announcing jam sessions and fundraisers. These little halls are cheap to rent, and cozy, and many have fully-equipped kitchens. After twenty years out west and up north, I notice the slower economy here has spared this province from a certain amount of the worst kind of development, like the sprawling vinyl suburbs racing over forest and farmland in other parts of the country. Combined with our larger rural population, it has kept these old halls from disappearing, and we are lucky for that. Putting on shows in community halls brings people together in a sweet old-fashioned way that needs to make a comeback, big-time. We get to be neighbourly, share experiences and music, get away from our screens for a spell, and celebrate the delicious food that is grown here. So sing loud, you’re among friends. 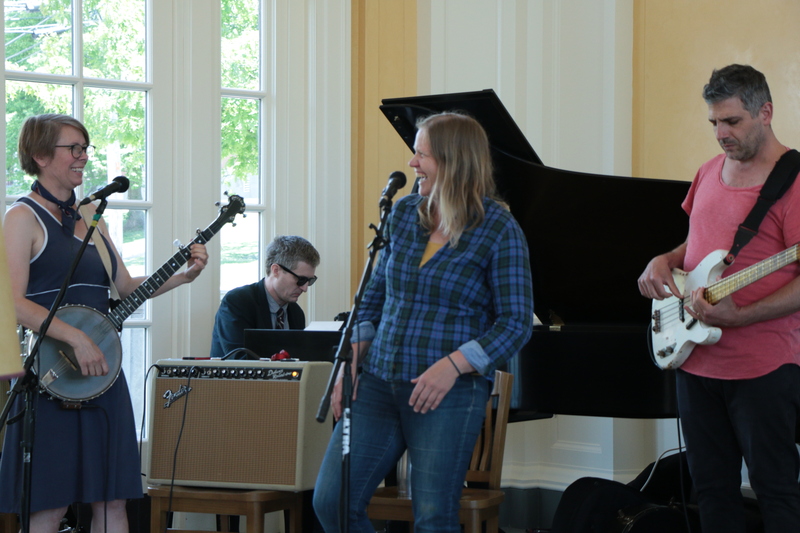 Join The Dearlies, the Kim Barlow Band, and Ida Red, along with soup, chowder, and chili with ingredients from Taproot Farms, fresh-baked bread and desserts, and tea and coffee from Canning’s new Village Coffeehouse. 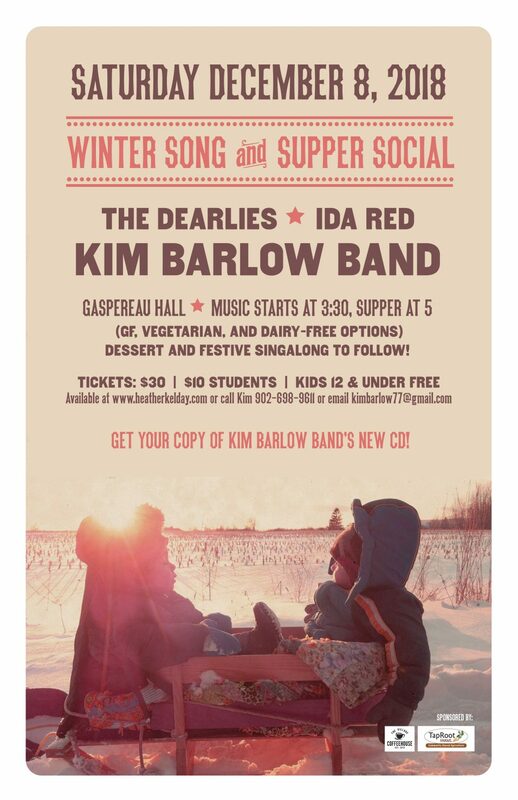 Saturday December 8 at 3:30pm, at the Gaspereau Community Hall. We hope you’ll come sing some old chestnuts with us at the hall.